Amid the rolling green hills, ancient architecture, and winding, narrow streets of Catalonia sits a light-filled sanctuary with a stony exterior. 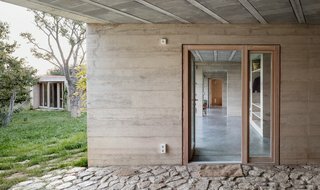 Designed by award-winning Spanish architecture firm Harquitectes, 1413 House is made from recycled stone and glass. 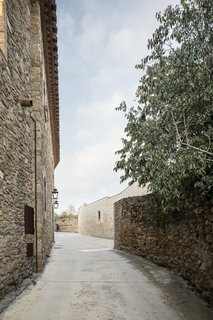 Situated in the quiet, historic village of Ullastret, Girona, the home pays homage to the traditional surrounding structures with a stony street-facing wall. The home's living spaces are built around the property rather than in the center. The building's exterior blends in with the town's existing architecture. In an effort to widen the adjoining street, the design team tore down a preexisting wall and rebuilt it. Treetops peek out from the encased garden, shading the hidden oasis. The living areas wrap around the central garden. The new wall repurposes stones from the old wall in the traditional Catalan style. 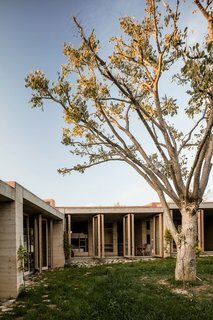 Rather than placing the home in the center of the garden, Harquitectes set the floor plan along the contour of the road. 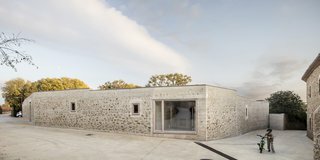 The project is held together with load-bearing walls made of stone repurposed from the old wall blended with aggregate from the plot, limestone, cement, and small insulating particles of recycled expanded glass. The chipped, exposed stone wall blends in with the other buildings on the street. All the areas of the home open up to the garden to maximize potential for indoor/outdoor living. Instead of installing a stacked rock wall, Harquitectes blended adobe and cyclopean techniques to create a coffered and lifted structure with a chipped, rough facade and a smooth formwork finish inside. The home is entirely unassuming from the street, and it fits right in with the other buildings. Built-in furnishings create a clean, minimalist layout. Natural light floods the space from an abundance of floor-to-ceiling glass. 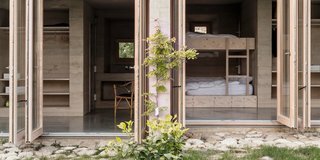 The wall’s thickness shifts and adapts to provide privacy in the four bedrooms, four bathrooms, laundry area, and closets. The mass thins out in the communal areas. 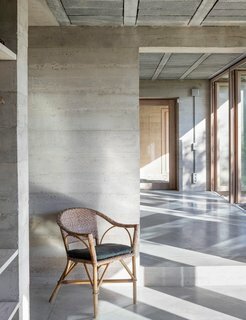 The stone-hued interiors feature clean lines, built-in furnishings, and in situ cast concrete flooring. The beds, closets, and bathroom nooks are all built-ins, so one space seamlessly flows to the next with a sense of uniformity. 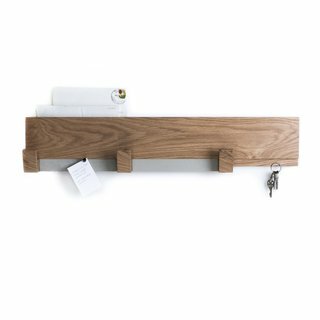 Set out to accomplish many things in the purest way, the KOMOLAB Multifunctional Wood Wall Rack becomes the swiss army knife of your interior. Made completely of solid wood, it provides a mail slot, coat rack, tack-board for pinning notes, a magnetic keys-holder, all in one unit. 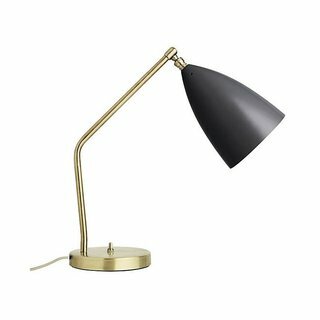 Designed in 1948, the Gubi lighting Grasshopper Table Lamp clearly defines the mid-century modern style that emerged out of California at that time. 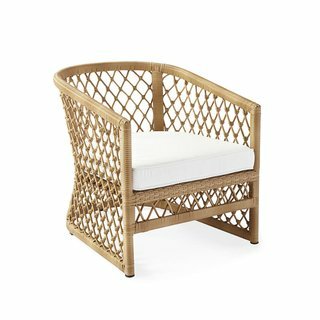 Inspired by our own Avalon Collection, we’ve translated the same airy design notes into outdoor furniture you can really sink into. Hand-wrapped resin mimics the rattan of the original and provides the same texture we adore. A subtle lean lends grace to the silhouette. A view of the sleeping quarters from the courtyard. 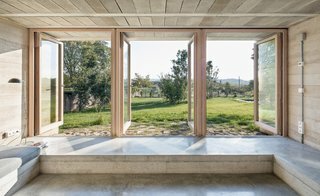 Large, sweeping glass doors flood the home with natural light, while opening it up to the garden. An elongated sequence of corridors forms the linear layout. 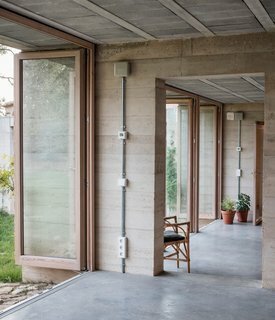 The home responds to the weather well, absorbing solar radiation during the winter, and opening up entirely for indoor/outdoor living in the summer. 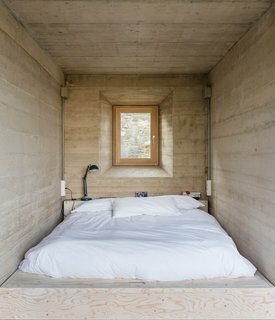 A cozy sleeping area illuminated by a dynamic faceted window. Doors in every room open up entirely to the garden.